MSC Cruises currently operates four vessels out of PortMiami: MSC Seaside and MSC Armonia year-round; MSC Divina seasonally; and MSC Meraviglia, which will join the ships sailing from Miami this autumn, seasonally. 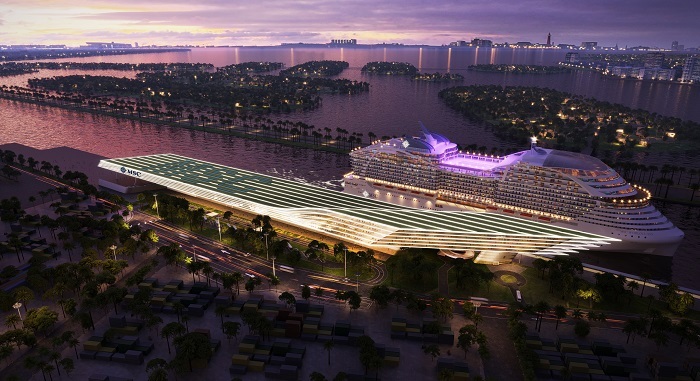 With the new cruise facilities, MSC Cruises will bring a total one million guests through PortMiami each year. MSC Cruises currently estimates that the work will be completed by late 2022, at which time the company will transfer all its PortMiami operations to the new facility.